Halo Diamond Wedding Set in 14k White Gold | Shane Co.
Hand-matched for exceptional fire and brilliant sparkle, 50 round diamonds, at approximately 1.35 carats total weight, give this design timeless elegance. These exquisite gems create an attractive halo in the wedding set . 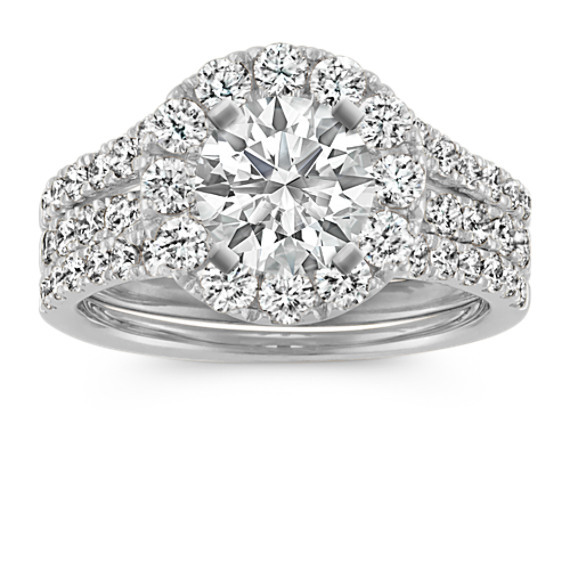 This ring, crafted of quality 14 karat white gold, awaits your choice of a 1.00 carat center round diamond.